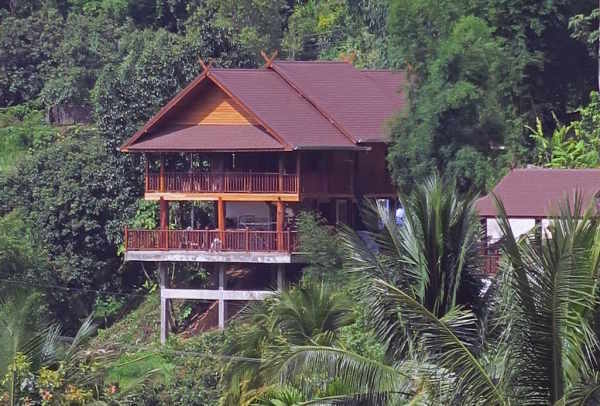 Enjoy the luxury to live in an authentic traditional Thai Teakwooden House. 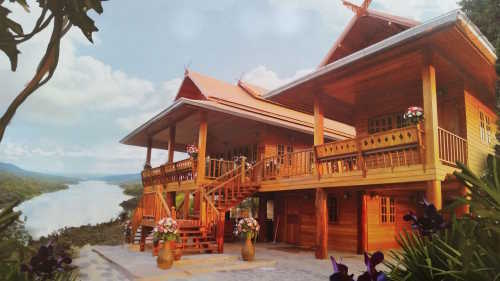 All the houses we show in this website have been designed and constructed by ThaiLannaHome.com. more than "just another house" in Thailand. Till the early 1900's nearly all houses build in Thailand were teak wooden houses. Western influence rapidly changed the construction-style. As one of the few remaining builders of traditional Thai houses we still use the same century-old techniques for our ThaiLanna Homes that are in harmony with Thailand's building-tradition, architecture, landscape and culture. 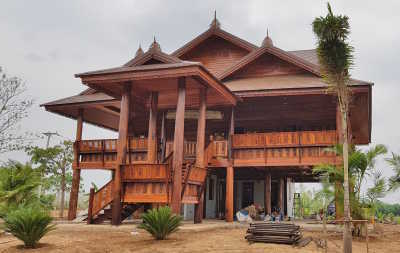 ThaiLanna Home re-introduces authentic romantic living style to those who are looking for that very special made to order traditional Thai-style teakwooden house. ThaiLanna Home is a committed family business with personal approach and decades of experience in designing and construction of Thai houses. 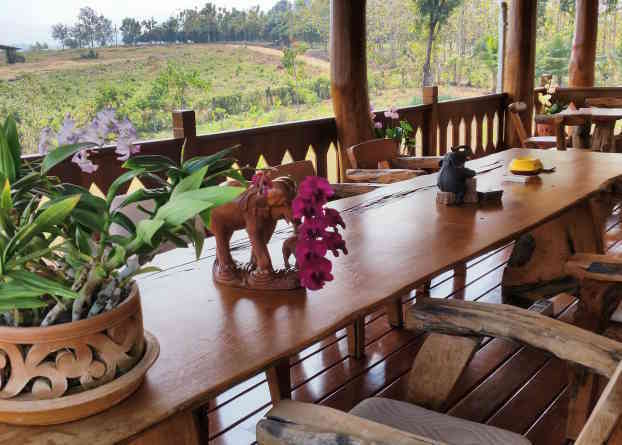 We are based in the North of Thailand, the cradle of teakwooden houses. 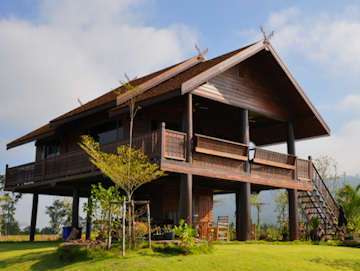 We build our houses throughout Thailand. Freedom of design and location is our trademark. 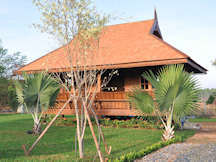 The custom made teakwooden houses are in a traditionally way constructed with centuries old skills and craftsmanship taught from generation to generation in ThaiLanna Home's factory in the northern Thai city of Phrae, located less than 300 meters from the famous and must see Temple Prathat Chohae. After completion -which takes not more than 2 months- your partly completed house will be taken apart, transported and assembled at the location of your choice in Thailand. Should you later prefer to live in another part in Thailand than our specialists can move your house to that new location. Our constructions-method will save energy for cooling your house, which contributes to a better environment. The traditional Thai Architecture assures a natural climate control inside your house and is the basis for your new house in Thailand. There is a cooling refreshing airflow under the roof and floor. As your new house will be custom-made, we can adjust the interior and exterior of the house according to your preferences. The models shown in this website are just examples from which we can start to design your house. We always like to see your land first in order to advice you about how to place your house and how to make some changes to the model you are interested in as it has to suit and be in harmony with the location. 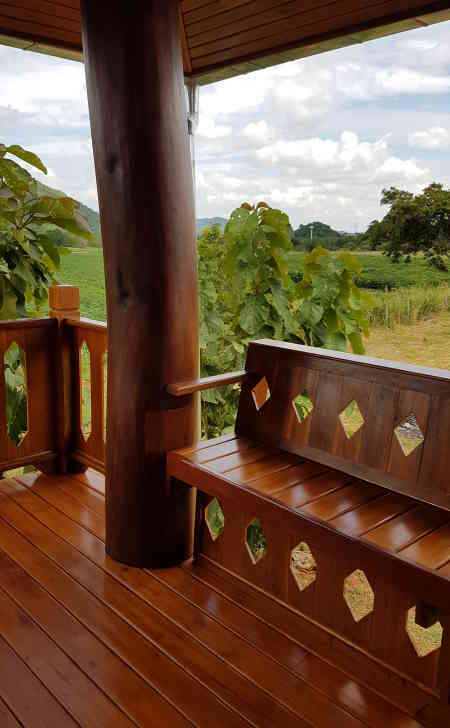 Transform your existing house into a Traditional Thai Teak House. You are happy with the place you are living now in Thailand but would prefer a traditional Thai Style House with teakwood? ThaiLannaHome did it and can do it for you. In the example on the left we replaced the roof and the type of roof-topping, we covered the outer walls with teakwood, replaced some doors and windows and renovated the bathroom. Also, the floor we covered with wood. 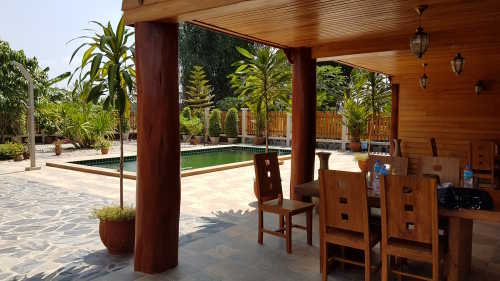 Some concrete columns replaced for wooden ones and some covered with teakwood. 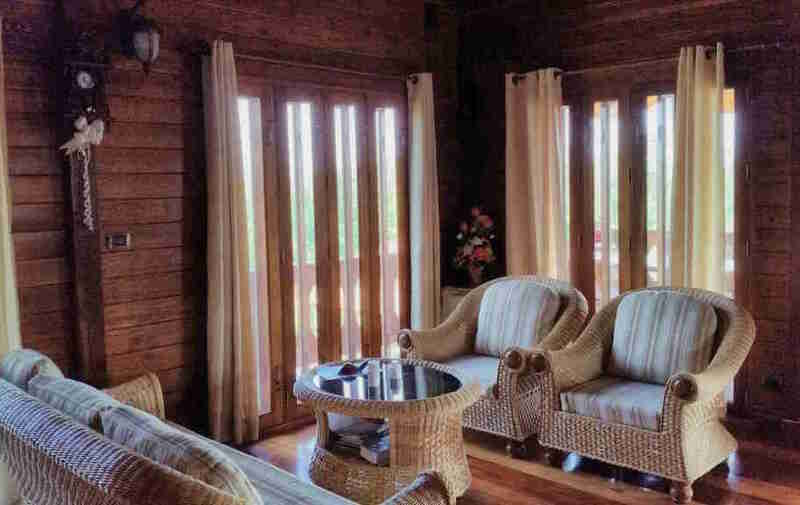 The result is amazing and you will save up to 50%* compared with a complete new teakwooden house. * Depending of what to replace or renovate. Contact us for more information. More information about the ThaiLanna Home houses can be found elsewhere in this website. As no individual is equal we cannot go into all details, so please contact us for any additional information. We assure you 100% quality and satisfaction at unseen prices and state of the art finishing. We hope to welcome you soon in the land of smiles. © 2004-2018 ThaiLanna Home Co., Ltd. Chiang Mai & Phrae, Thailand. All rights reserved. Last update June 22, 2018 .